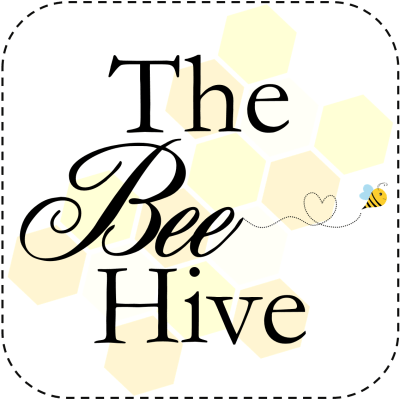 Alyce from Blossom Heart Quilts is hosting the Bee Hive Block Along. This block-along is a year long project which 12 bloggers and Alyce have designed a block perfect for a Block Bee. 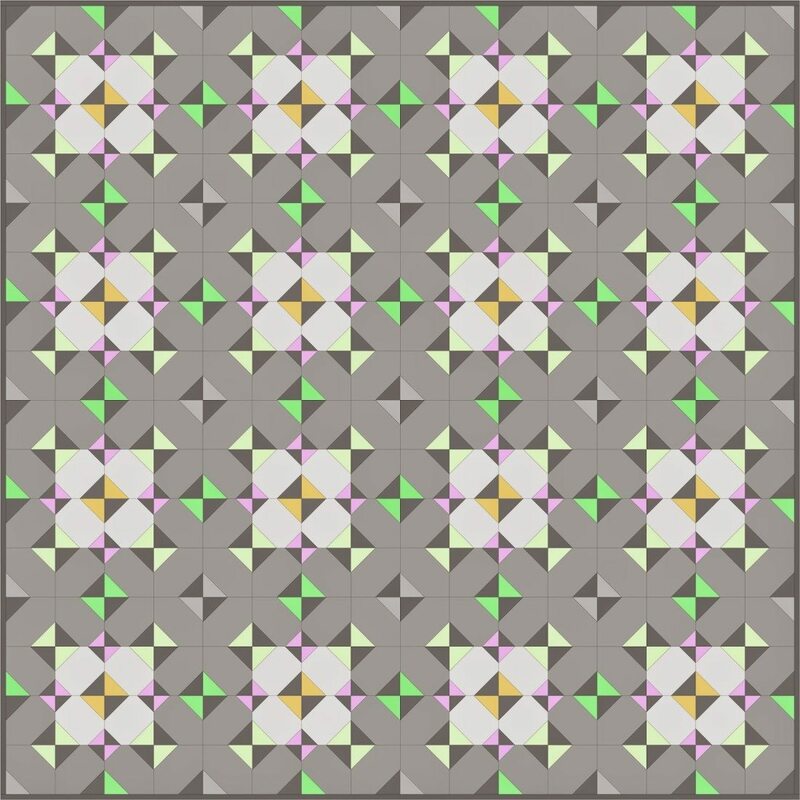 Using a number of techniques these blocks are easy to make and make a great repetitive design. 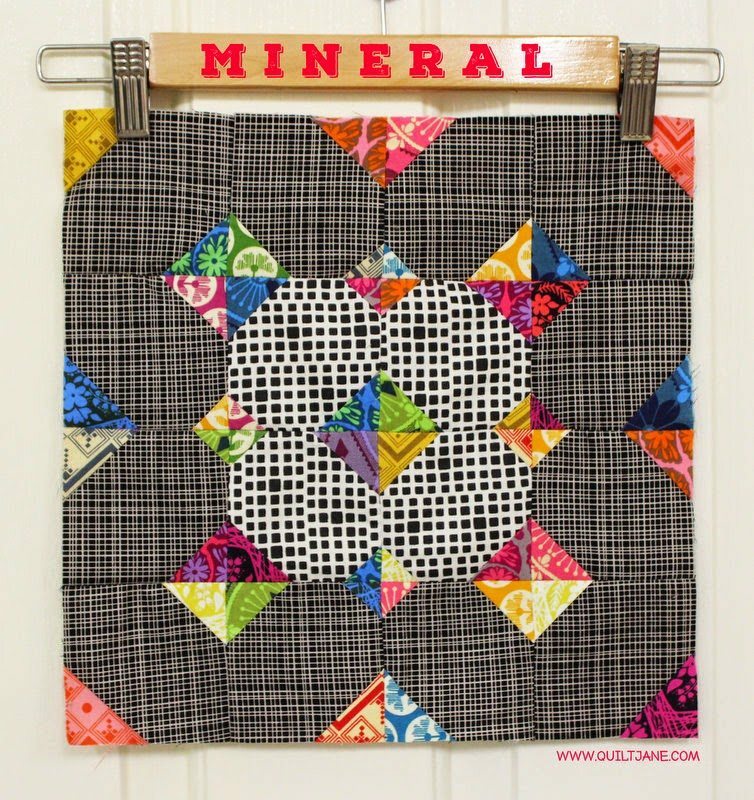 This is a scrappy block perfect for using up tiny left over squares from other projects. Draw a diagonal line on the wrong side of each 1 3/4″ and 1 1/4″ square with a pencil or erasable pen. 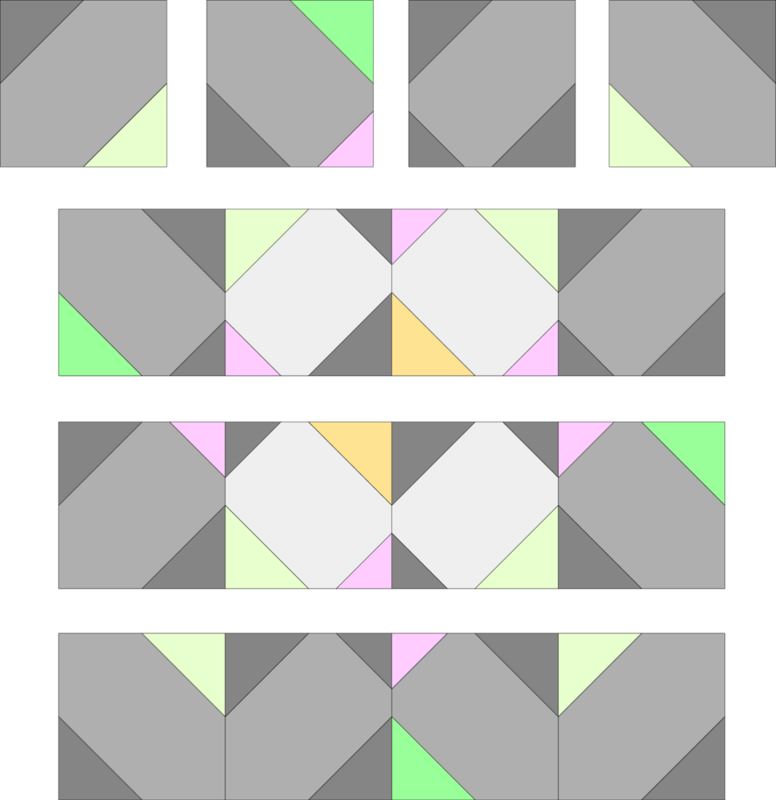 Lay out all the background blocks and place the 1 3/4″ (Piece A) and 1 1/4″ (Piece B) squares on the background squares. Sew a thread width inside the diagonal line of each square. Trim the excess leaving a 1/4″ seam allowance and press corner triangle over. Sew units together to make a row. Sew rows together making sure to match the seams. Press seams open. 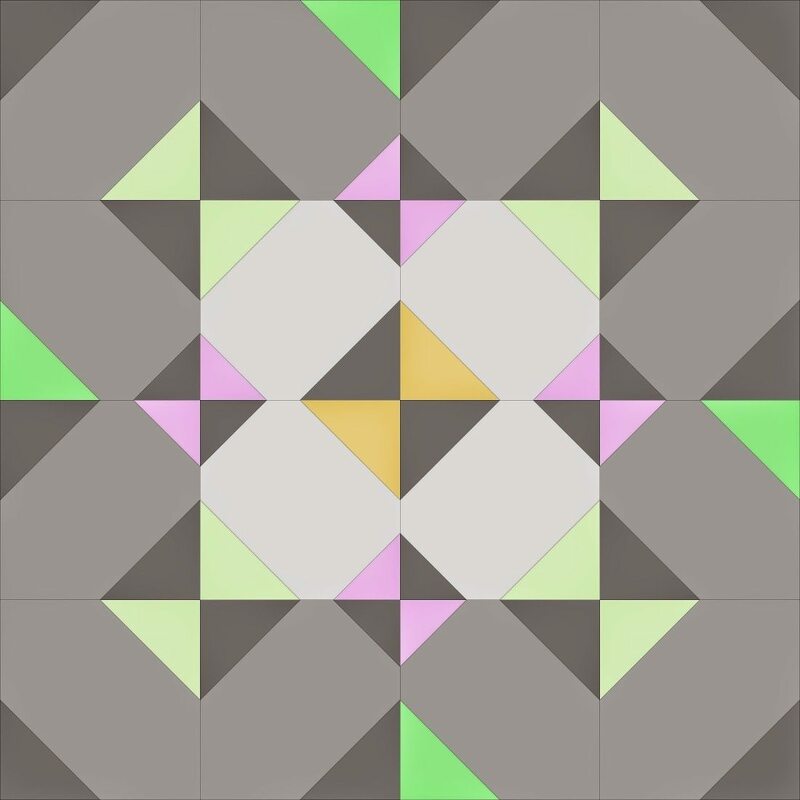 This is how the block would look in a horizontal layout. Thanks for sharing this news. I'll be watching with much interest.